While I was studying for my MA I created some mini projects. These were to keep my hand in creating logos, which I found I really enjoyed the process when I studied at the University of Bolton. The first project was to redesign a logo for a local estate agent called Wainwright and Edwards. I wanted to give the logo a fresh, modern look and feel and also for it to be clean and simple. 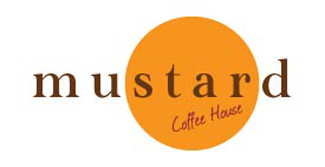 The second project was to redesign a logo for a coffee house. I wanted to create a simple, straightforward logo that says exactly what it is, which doesn't use imagery and uses a pleasant typeface. The third project was to design a logo for a make-up and special effects artist. For this logo I took inspiration from the V&A Museum logo.